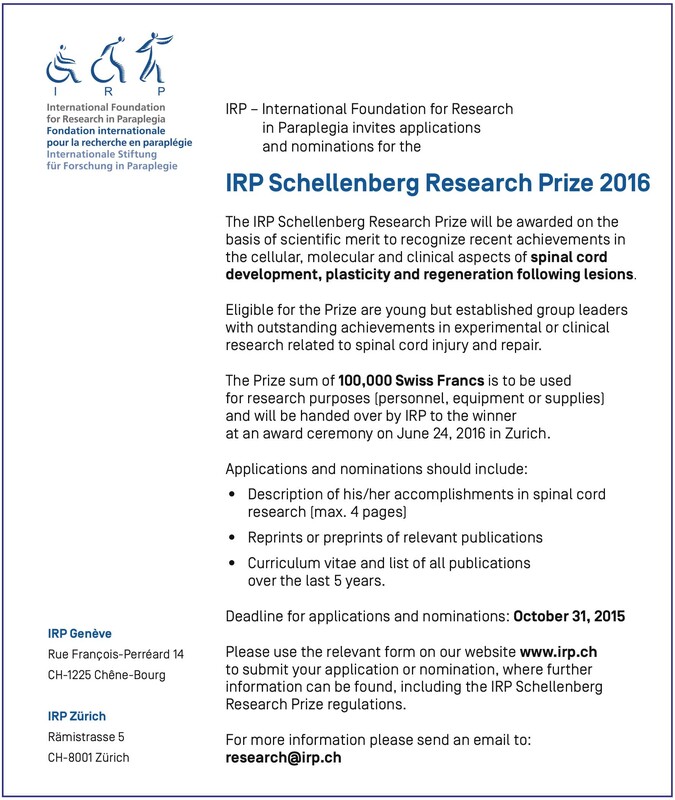 The deadline for applications is October 31st, 2015, with decisions to be made by the IRP Scientific Council in February 2016. 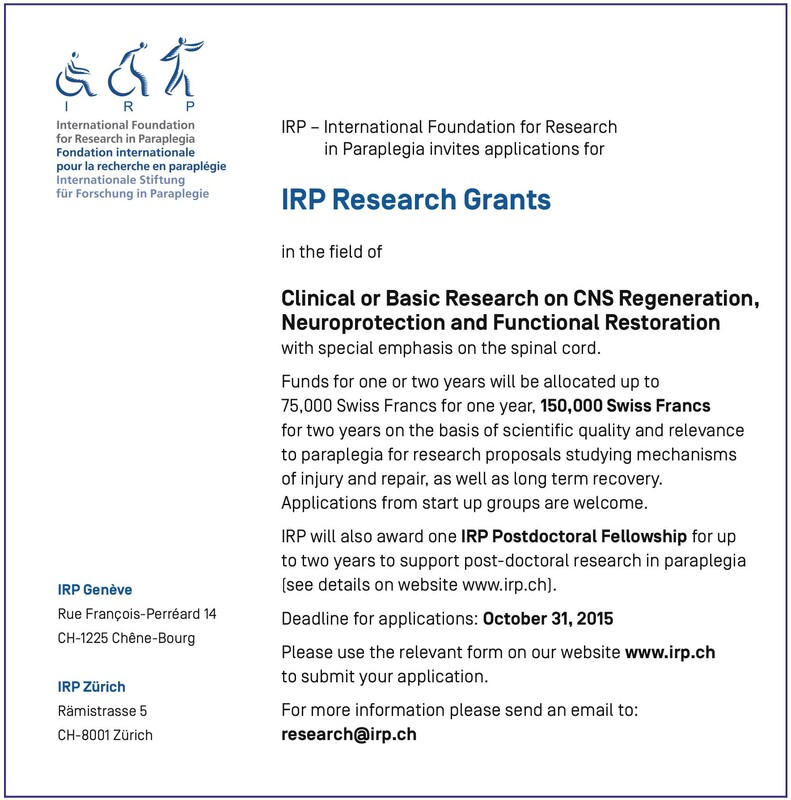 You’ll find further useful information on www.irp.ch. We thank you in advance for your collaboration.